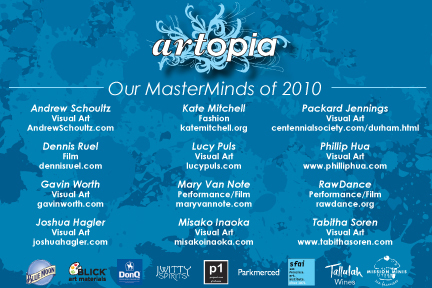 Artopia 2011 was a great success! Scion came in as the presenting sponsor and hosted a “Test Drive the New Scion tC” out front before the festivities began. Those that came to test drive a tC got free entry into the event, along with exclusive access to the Scion VIP lounge. 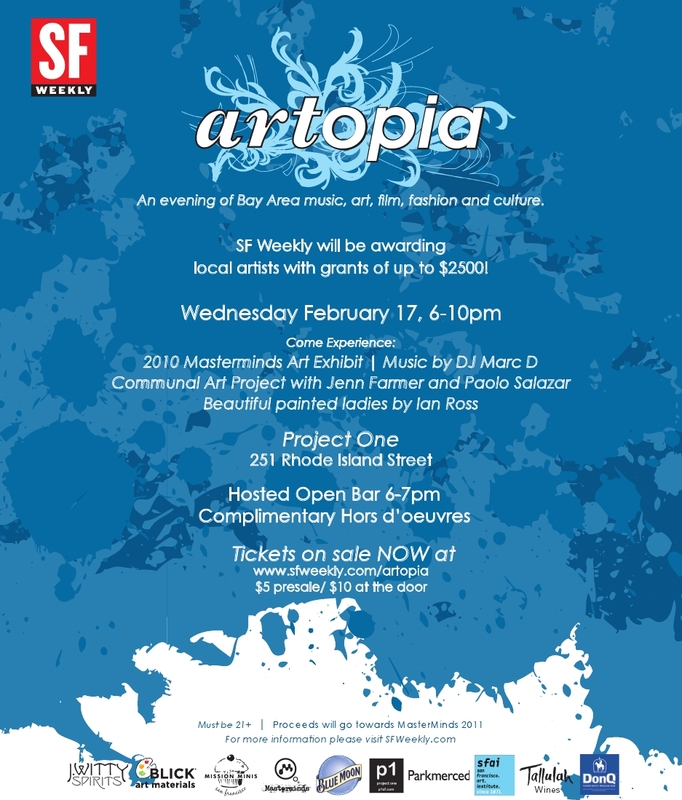 This year Artopia took place at the fabulous, and ever-evolving venue, Public Works. The staff were an absolute joy to work with and helped me immensely in the set-up of the art show. I once again had a blast curating the art and working with the artists. Future calling perhaps? The performers from Supperclub were great as well. Both ladies are very talented individuals and truly added something to what was already becoming a memorable night. I wish I had all of the collateral that went along with this event as it really was fabulously designed, but alas, I do not. Hopefully, I will be able to post the recap packet sometime in the near future. In the meantime, please enjoy the video of my last Artopia. The ad and Press Release definitely gained attention, along with the online splash page and promotions through multiple social media websites as we received over 200 submissions which were double of what we received in 2009! 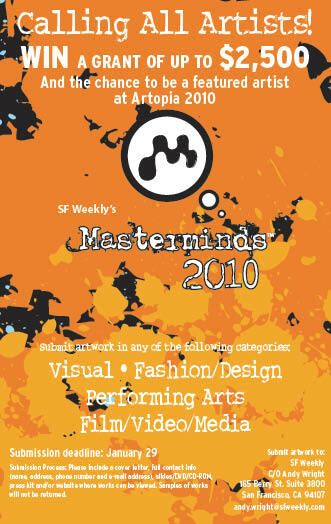 Once the judges picked the finalists and the 3 grant winners, we began to advertise the party. The party itself went great with everything from a communal art piece for guests to paint throughout the evening; two ladies painted in the likeness of Blue Moon bottles for our sponsor Miller/Coors; food and drink provided by DonQ Rum, J. Witty Spirits, Tallulah Wines, Miller/Coors, and Mission Minis Cupcakes; and even a dance routine by one of our finalists, RawDance. Finally, close to the end of the party, the 3 winners were announced and awarded their grants.